Sample Society hasn't disappointed me yet. 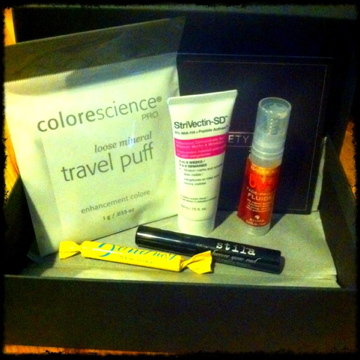 As far as beauty subscriptions go, this one is hard to beat! 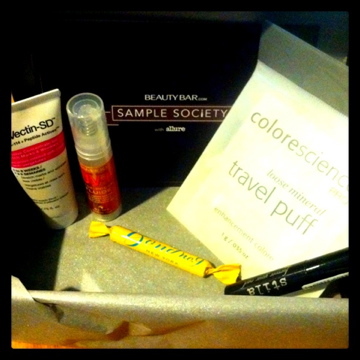 At $15 a month, I am always happy at the selection of deluxe samples I get to try out. Not to mention the issue of Allure that shows up in the mail box shortly after. If you like sample programs and haven't yet checked out Allure and Beauty Bar's collaboration, Sample Society, limited subscriptions have been made available. Once again, this skin care/ beauty junky has much to look forward to. I am excited to try all of these great products and will share with you all of my findings.